PUNE: After the successful revamp of the Jungli Maharaj road under the Pune urban street design, Laxmi Road is next on the cards. Considered to be one of the busiest, Laxmi Road runs for approximately 2.25 kilometres, starting from Alka chowk to Quarter Gate, near cantonment limits. According to PMC officials, the work has already began on the 1.1 kilometre stretch where 2.75 metres of footpath on both sides of the road are being constructed. The size of the previous footpath was 1.75 metres. Once the footpaths are ready, the width of the carriageway will be 7.5 metres. Earlier, the width used to vary between 8.2 metres and 10.5 metres. The new design will be friendly to disabled citizens as well as to the senior citizens. It will have tactile pavements to help the visually disabled and also bollards to curb two-wheelers from climbing on to the footpath. Distribution Point (DP) boxes would be shifted to other locations, so that they don’t come in the way of pedestrians. Special railings will be constructed which will keep the hawkers in a specific zone. The facelift of Laxmi road is being done under Pune Municipal Corporation’s urban street design guidelines program, a holistic activity which is being carried out by the road department. 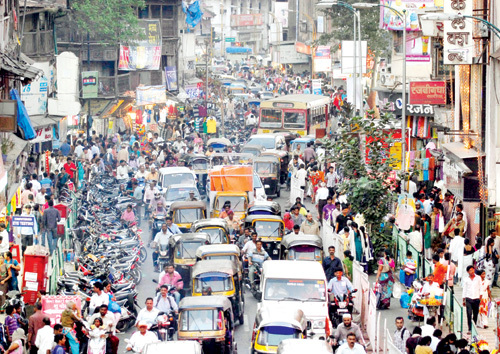 “A total of 100 kilometres of streets were identified in the Pune city. A total of 50 kilometres would be developed in Phase 1 and rest in Phase 2,” said Vijay Shinde, a senior engineer with road department. 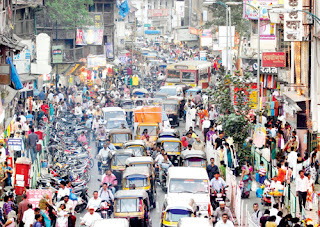 “The width of road was less and the hawkers too were demanding space. This was the challenge faced by the civic body,” said Vrikant Shinde,urban designer with PMC’s urban design cell. Shinde said that the survey of Laxmi road began in 2016 and by February 2017, the work began for making it pedestrian-friendly. The initial design had a particular stretch which was a completely no vehicle area but after discussions, it was redesigned to give pedestrian-friendly shopping experience for the customers. “Laxmi road is the centre of the city. People need parking space for their vehicles too,” adds Shinde. The objective of these guidelines is defining and initiating a process to ensure that appropriate street types and street design elements are implemented to create better streets to support transportation objectives for the city considering the present and future needs. “The streets are for all users, not only for vehicles, but also for pedestrians and cyclists. They are great meeting and vending places and the they must be designed for all uses they support, capturing the essence of the surrounding locality,” informed the PMC website.